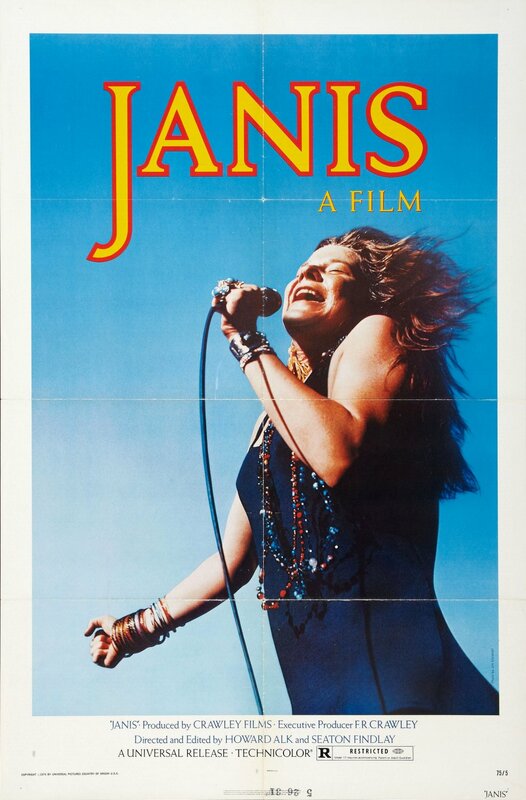 Janis, 1975, 35mm, 96mins. A beautiful print provided by Library and Archives Canada. Ottawa filmmaker Budge Crawley produced Janis through his company, Crawley Films, Canada`s largest independent film studio. This rock`n`roll documentary is one of the many highlights of an astonishing film career that lasted from the late 1930`s until the early 1980`s, with over 5000 films produced during that time. In 1970, Budge Crawley decided to make the film after seeing Joplin during the Festival Express concert tour, which crossed Canada just months before Joplin died of a heroin overdose. Crawley spent the next four years, and many thousands of dollars, securing the rights to concert performances, rehearsals and interviews — all of the footage available — including sequences from the Woodstock and Monterey Pop festivals. Janis is a unique rock documentary that is as compelling for its musical sections as it is for its frank interviews with Joplin. The film was completed and released with the approval of Joplin's parents. This is your one chance to see a rare Canadian War film on 35mm with a live band! for only $10. 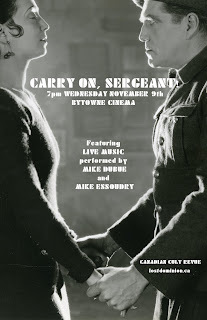 Carry on, Sergeant (1928), 35mm, Black and White, Nov. 9th, 7pm at the Bytowne Cinema.